Get more from your goalkeeper gloves with our simple guide to buying the right glove for you and maintaining them. Here at Lovell Soccer we are here to help you choose and look after your goalkeeper gloves, after all they can be the difference between winning and losing a game. Industry leaders Uhlsport, Reusch and Sells are represented alongside adidas, Nike, Puma and New Balance amongst our extensive collection. Getting the right fit ensures best performance. Buying a pair of goalkeeper gloves is much like footwear, as you need the correct size for the best performance and comfort. By selecting the correct size this can also lead to an increase in the lifespan of the gloves which will ultimately save you money. Naturally, the easiest way to ensure the perfect fit is to try the gloves on but we appreciate this is not always possible. Therefore if you've already purchased gloves in the past, you may have noticed a sizing chart on the back of the packaging. Simply place your hand against it and measure to find your glove size. If it is your first time buying gloves, then simply click on the link at the bottom of this page and print off our glove size chart. Alternamtively, as a guide somply measure the circumference of your hand at the widest part, without the thumb, and compare against the size chart below. Remember that goalkeeper gloves are designed to fit snug across the hand, not so tight as to restrict movement but not too big as to have excess loose material. A poorly fitted glove will just mean difficulty in saving and catching the ball. Conditions and surfaces have to be taken into account when choosing your goalkeeper gloves, the same as when selecting your football boots. Different gloves perform in different conditions, varying from dry and sunny to wet and soft, with everything else in between. Each brand also offers their own unique and practical features, with a pair of gloves to suit all abilities and ages in an array of designs. Although the professionals have different gloves for each surface and condition, we appreciate this is not always possible and so it is important to make the right decision in determining the conditions your gloves will be worn in the majority of the time. In the UK it is highly likely the season will begin and end with firmer, drier surfaces but through the course of the season the conditions will tend to get much wetter and muddier, so it would be worth iunvesting in a pair of gloves that excel in wet conditions or offer all round grip. Likewise, if you play in a warmer climate then you would favour gloves with a durable grip that excel in performing across hard and dry conditions. 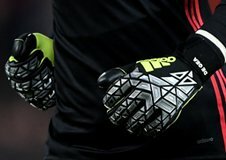 Remember that even though your gloves may no longer be considered match worthy, they can often still perform in training or during pre-match warm-ups so goalkeepers often keep several pairs in circulation throughout the season. If you look after your gloves then they will look after you, which can be achieved by following a few simple instructiuons. There is no avoiding the fact that they need to be cleaned after every use though, whether on the training ground or during matches, as any dirt or mud can be abrasive and wear down the grip across the latex palm. As soon as possible after use, place the gloves in luke warm water and gently squeeze before hanging out to dry. Let them dry naturally and do not attempt to accelerate the drying process as this will lead to hardening of the latex and rapid decline of the grip. Also, do not add any soap to the water as the chemicals can have a detrimental impact on the latex and decrease their life. When storing your gloves, place the palms apart otherwise they can stick together and cause the latex to to rip when pulled apart. 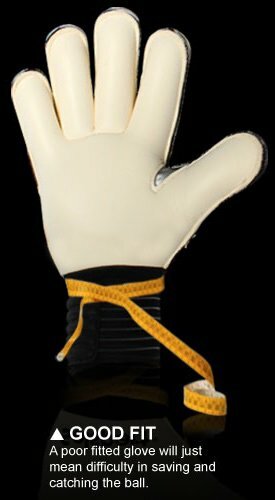 Between uses, ideally store them in a designated goalkeeper glove bag which is not exposed to extreme temperatures. 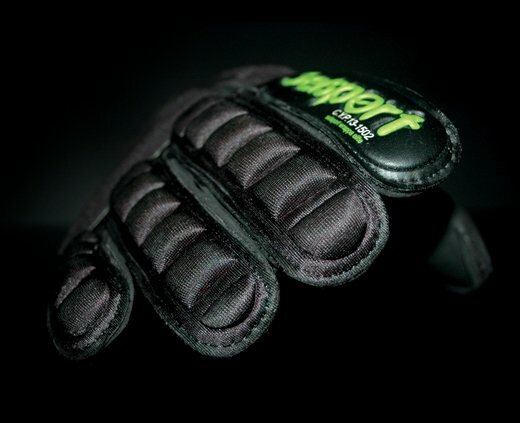 With the soft foam used on the gloves sold by Lovell Soccer, you will notice that the glove will start to show signs of wear and tear within minutes of use. This is common and will not affect the gloves grip until the majority of the foam has worn away. common and will not affect the gloves' grip until the majority of the foam has worn away. 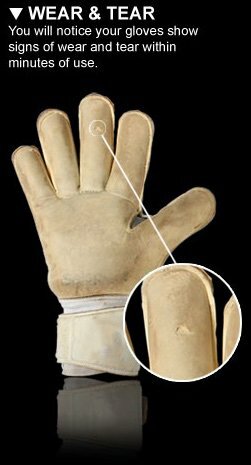 Children and inexperienced goalkeepers will notice a faster waer and tear of their gloves although this will become less apparent as they improve. Wear and tear will be more noticeable during the early and later parts of the season. This is due to the harder grounds. The world's top goalkeepers play on the best kept surfaces with top-end footballs and most will only tend to keep their gloves for a maximum of 8 games. Please be aware that we will only accept gloves back if they are deemed to be faulty. If Lovell Soccer or the manufacturer deem them to be fair wear and tear, no refund or exchange will be offered. We are also unable to offer any refunds or exchanges on gloves that have been personalised, as stated in our terms and conditions at the tine of purchasing. If you have any concerns about what you have just read then please feel free to contact us and our team will be happy to help. Our detailed product descriptions will also help inform you of the conditions the gloves are best suited to in order to suit your playing needs.